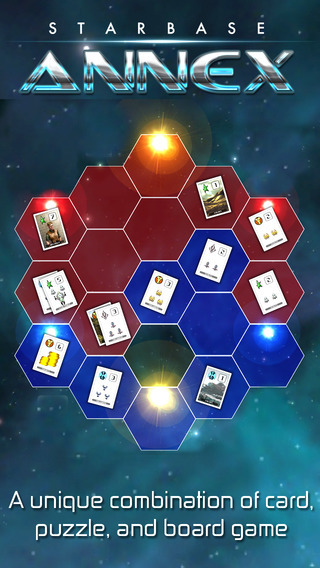 Fans of the Starbase Orion series will probably flip their lid to learn that the game’s creator at Chimera has just launched a similarly stylized sci-fi digital board game. It combines the depth of a 4X strategy game (explore, expand, exploit, and exterminate) with the simple basics of a land grab board game. 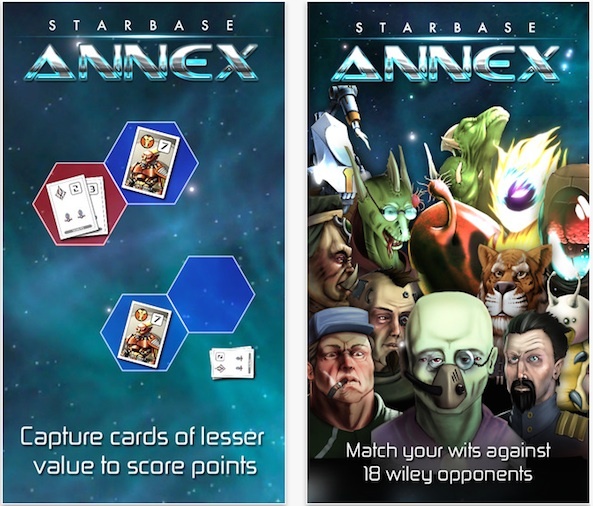 Starbase Annex pits players against increasingly difficult enemies on a mission to win the most victory points by overpowering opponents and capturing cards. Fate will deal you your hand. 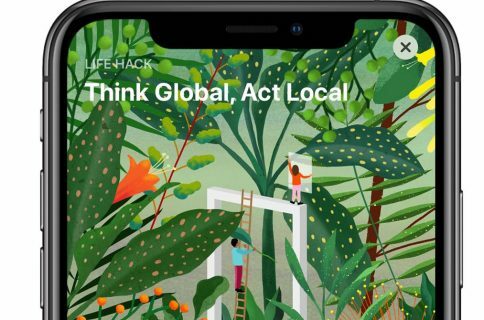 What you do with it is up to you. Players start by drawing 20 random cards from the deck. Cards have different values between one and 10. The higher cards do more damage, but cost more resources to play. So, if you have a lot of high cards, shoring up resources might be the best strategy. While playing a hand with a lot of low cards might have a better chance just trying to capture more cards. To place a card on the board, or map, spend the number of resources required. For example, if you have six resources and a card that costs two, you can place that card on the board and still have enough left over to place a second one. Players place cards on the board in spaces they own. You can place multiple cards on yellow stars, and single cards on red or blue stars at one time. If you have multiple cars on one space, you can upgrade them to create a stronger defense. You can move cards to adjacent spaces on the board. You’ll want to control as much “land” as possible. Place cards on a hex to control that land. The more you control, the more resource points you will earn, which will allow you to place stronger cards on the board. The game has 18 different opponents, each with a different map. The variations allow players to take advantage of narrow land sections with different types of cards. The goal is to end the game with the most victory points. You can either try to horde your high cards, which are worth one victory point each, or be the one with the most cards at the end of the game. Starbase Annex is available on the iPhone, iPad, and iPod touch for $1.99. 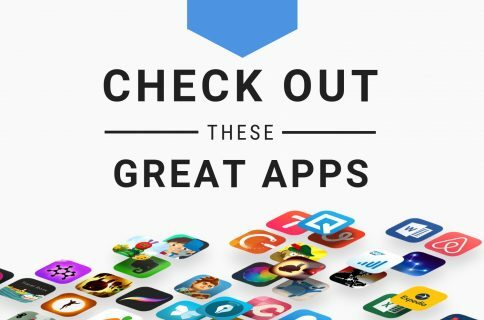 Download it in the App Store today. What do you think of Starbase Annex? Let us know in the comments below.